A website doesn’t last forever. Are you keeping up with Google changes? 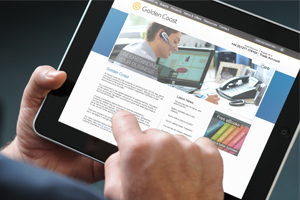 Golden Coast / News & Offers / Sales & Marketing / Blog / A website doesn’t last forever. Are you keeping up with Google changes? Is your website still bringing in the business enquiries and traffic that you want it to or have changes at Google left it behind? Almost every business in the wet leisure industry will have a website, but they don’t all necessarily do the same job. A lot of businesses have what is known as a ‘brochure website’ which is pretty much just that; an on line brochure that gives people a bit of information about the business and what it can do. In the main, visitors to the website come from being referred to it via other pieces of marketing, perhaps a link on social media or a web address in print or radio advertising. They might have done a Google search for the actual name of the business and, if that is the case, it’s to be hoped that they found the site fairly easily. At the other end of the spectrum are the websites that belong to wet leisure businesses who do a lot of their trade on line; perhaps an e-commerce site for chemicals or a business that sells spas or saunas over a wide area of the country. These sites will get a great deal more of their traffic from more general searches such as ‘pool chemicals UK’ or ‘hot tub derbyshire’. For them, good search engine optimisation (SEO) is vital. Most wet leisure businesses will fall somewhere between these two extremes and even if you have a brochure website, wouldn’t it be nice to get a little extra traffic? A few more people looking at what your business can offer? And actually, what is the point of a website if it’s hard to find and seldom comes up on searches? Google is the most important search engine on the Internet and the ‘rules’ that they make tend to affect how the whole web behaves. Google protect their business by giving people the search results that they think will be the most useful and, in order to do that, they look at over 200 factors when ranking a website, including yours. Google are almost constantly making changes to the way that they decide how highly to rank a site. Some of those changes don’t last; they try them out and then they move on to something else. But some changes do last and these are the things that you need to be aware of. Google has decided it doesn’t like what it calls ‘thin content’. What they mean by that is short articles or pieces of copy that don’t contain much useful information for people. The good news is that even if you have a small website, if it has some really good information and advice on it, Google will move it up the rankings. So, be generous with your knowledge. It will pay dividends. Even with broadband, some websites take a long time to load. It’s annoying, isn’t it? Sometimes an overly complicated design is the problem. Quite often it is that images aren’t optimised for the web and the image files are much bigger than they need to be. Google can see how long visitors to your website stay on there; and if you have Google Analytics – which you should have – so can you. Both Google and you want people who visit your website to stay for a reasonable amount of time. It shows that they are finding the site interesting and useful, and by implication are more likely to be attracted to your business. The amount of time people spend can be influenced by the content and by the navigation. A good website is not only informative and interesting, it is easy to use. None of this is as difficult as it might sound. Google use incredibly powerful algorithms to rank websites but what those algorithms do are to accurately mimic the behaviour of ordinary people. Just imagine that you are a potential customer and take a look at your own site. Is it attractive? Is it useful? Is it fast to load and easy to navigate? You should also keep an eye on your website traffic statistics either by using Google Analytics or by looking at the reports your website provider gives you. If visitor numbers are falling off or people aren’t staying on your site for long, it might be time to make some changes.